Apple is working on its first iBeacon hardware, but what could it be? iBeacon to help power the Apple smart home? iBeacon tech currently sits in Apple Stores, but is it coming to the home? Apple may be looking to bring its location-aware iBeacon connectivity technology into the home. An unidentified piece of iBeacon-enabled hardware, the first the company has built, has made its way through the FCC in the US, but left few indications of what it is exactly, or what its purpose may be. 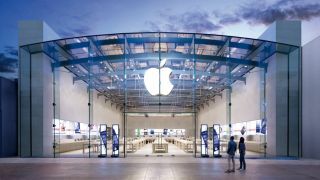 Apple currently uses third-party build iBeacon sensors in its Apple Stores to alert iPhone owners of information and offers for its product ranges based on their precise locations within the store. The tech uses Bluetooth and wireless data in order to track consenting users around the store. The FCC filing doesn't give a lot away. It appears to be a rounded hub-like device with a USB port and an on-and-off switch, operating on a 2.4GHz wireless frequency, which is within Bluetooth protocol. This unknown device may simply be a case of Apple wanting to replace the third-party built beacons within its stores. It could also be looking to widen the appeal of iBeacon technology to other businesses seeking to get in on the act. Or, it could be a sign that Apple plans to use iBeacon technology to help power its new HomeKit smart home platform in iOS 8, which will allow users to control connected devices.